Home News Play Pretty Pet Salon Spooky Party this Halloween! Enjoy the chills and thrills of Halloween with Pretty Pet Salon Spooky Party, a brand new game for the iPhone specially made for this scary season! 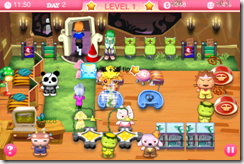 Existing players of the original Pretty Pet Salon get special benefits, so read on to find out more! 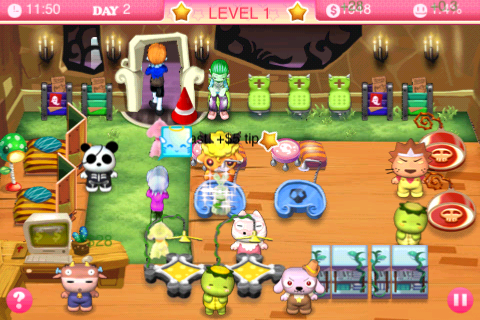 Pretty Pet Salon Spooky Party for the iPhone offers you a chance to relive the fun of running a new pet parlor from Day 1. 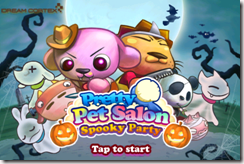 This special Halloween edition brings you the same fast, addictive gameplay as the original Pretty Pet Salon coupled with a dark, eerie, yet undeniably charming theme. Pamper your customers’ pets and make sure they’re set for the upcoming Halloween parties! 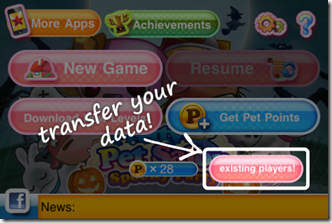 Run Pretty Pet Salon Spooky Party and press the “Existing Players” button in the main menu screen. Read and follow the instructions, but remember that you can only do this once! 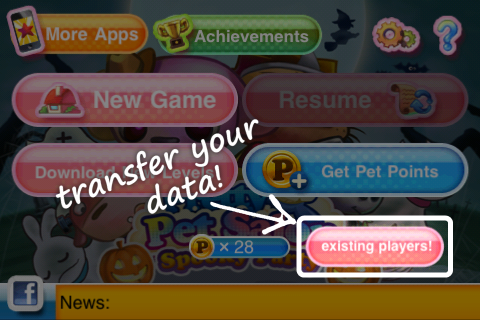 Confirm your transfer and see the changes in Pretty Pet Salon Spooky Party when you play! Have a happy, fun-filled Halloween with Cuby, Piglina and the other cute characters! 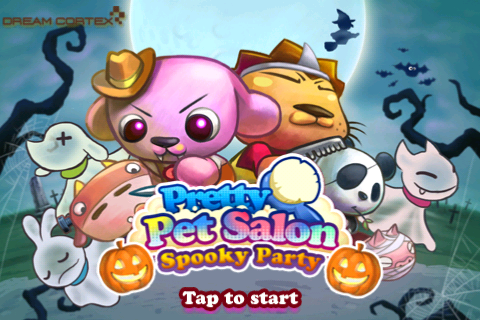 Download Pretty Pet Salon Spooky Party now!